Originally printed on November 24, 2018 in the Shropshire Star. Rhoda Jane Of The Moors, Cressage. Passed away suddenly on November 13, 2018, aged 87 years. Beloved Wife of the late Roy, much loved Mum to Tony, Sue and Terry and a greatly loved Grandmother and Great-Grandmother. 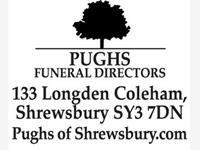 Funeral Service at Shrewsbury Crematorium on Wednesday, December 5 at 12.30pm. 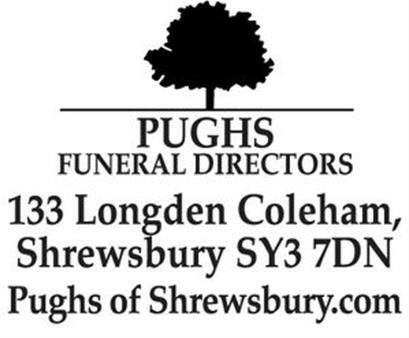 Family flowers only please but donations if desired to the County Air Ambulance.